It’s often said that Maine hides many secrets in every little corner of its enormous size, from the coastal towns all the way to the northernmost parts of the county, with its agriculture, vast forests and beautiful lakes. The UMPI History Club was fortunate to learn a little more about Maine history and its hidden secrets on Friday, Sept. 28. 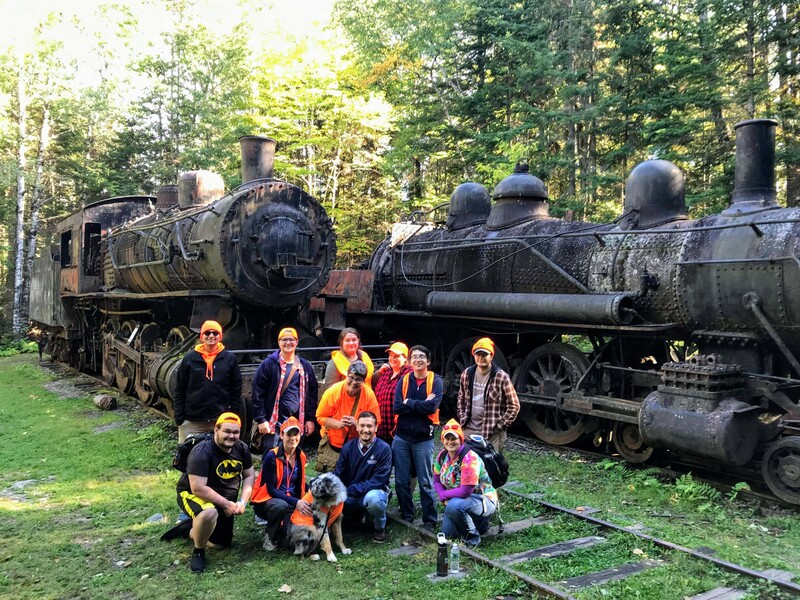 The History Club, in cooperation with some students from the Outdoor Pursuits class, organized a fieldtrip to Eagle Lake and West Branch Railroad, located in western Maine, just about three hours west from Presque Isle in northwest Piscataquis County. The site and the area in general is host to the remnants from a once booming lumbering industry here in Maine. In 1926, this railroad connected Eagle Lake with the west branch of the Penobscot River, and the site is proof of the booming economy that was a major part of Maine history. When the UMPI vans reached the Allagash Wilderness Waterway area after a long three-hour drive along dirt roads, the 12 passengers made their way with a 45 minute hike through the dense forest of the Allagash. Then they came face to face with two trains standing in the middle of nowhere, surrounded by machinery and equipment that looked like a train cemetery, resembling some old and forgotten age where humans uses this area for its resources. Now it was just an abandoned puzzle piece that was claimed by history. It was really amazing seeing these old railways slowly becoming one with the nature that surrounded them. The trains themselves were massive and the beauty that they added to the wild area was worth the long drive. “It was good to go see historical artifacts, especially those that have been abandoned previously, and to see the knowledge and history behind them” Adam Weyeneth, the vice president of the history club, said. The history club here at UMPI is very passionate about local history and also any curious topic that it seems to like. The positivity and the group bonding of the history club, in connection with a deep love for history, has driven the club into accomplishing great things and collecting valuable and unforgettable experiences. If you are curious about this site, the message that the history club would like to spread is that all should visit the Allagash trains at least once in their lifetime. Previous Previous post: How to Support Your Local College!